No. 10 - Nike Kobe 9 Elite "Strategy"
Nike went for a bit of an odd color combo when it paired hyper crimson together with sequoia. Given the Kobe 9&apos;s knit structure and history of crazy colorways, the sneaker was able to pull the look off in a way only a Mamba shoe could. No. 9 - Nike Kobe 9 Elite "Legacy"
Remember everything we just said about the Kobe 9&apos;s history of some pretty zany colorways? Well, Nike went in the opposite direction when it released the "Legacy" version of the Kobe 9. In perhaps the calmest colorway of the sneaker, the "Legacy" edition used a simply blue base with black and white accents for a classic look. No. 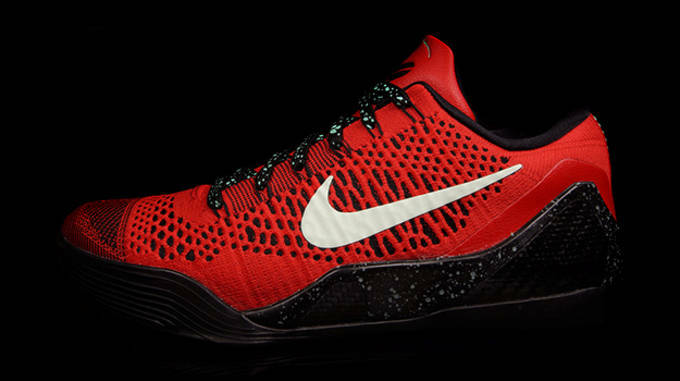 8 - Nike Kobe 9 Elite "University Red"
The Nike Kobe 9 Elite brought the heat in the low top category, as well. The sneaker&apos;s extended heel cuff wasn&apos;t for everybody, so Nike was smart in releasing a low version of the first-ever knit basketball sneaker. As an added bonus, the "University Red" colorway glowed in the dark when you shut off the lights. No. 7 - Nike Kobe 9 Elite "Maestro"
The NBA All-Star Game usually calls for some unusual colorways and Nike came through with its Gumbo Pack for the festivities down in New Orleans. 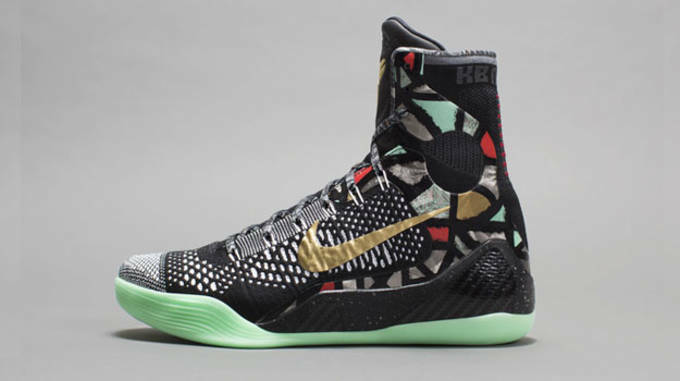 The "Maestro" colorway featured a unique graphic on the extended heel not seen on any other Kobe 9 release. 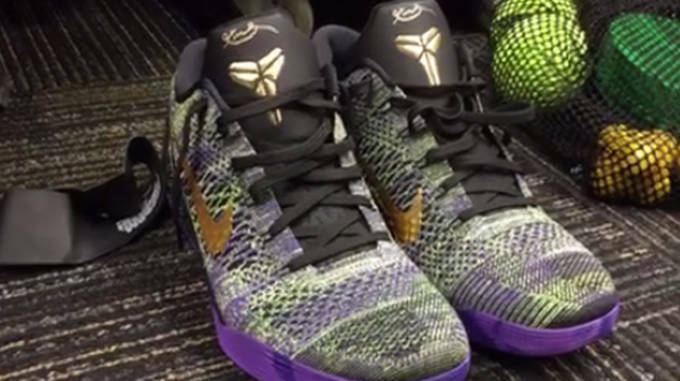 Also, the thought of Kobe conducting a symphony, which the sneaker&apos;s name evokes, has us chuckling, too. No. 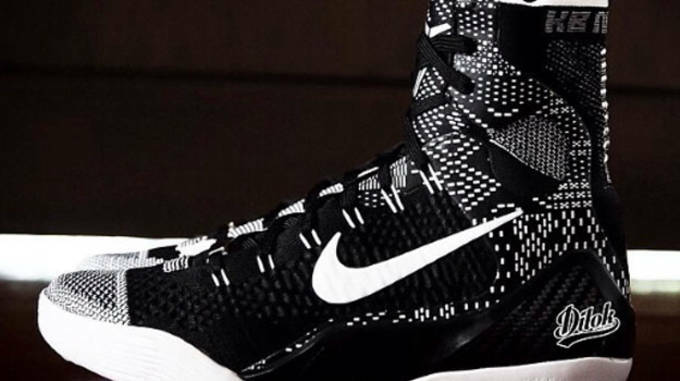 6 - Nike Kobe 9 Elite "BHM"
In all likelihood, the annual "BHM" colorway will be the farewell release for the Kobe 9 Elite. Although we are just getting our first look at the sneaker today, it instantly ranks up there with the best Kobe 9 releases of the past year just on initial reaction. No. 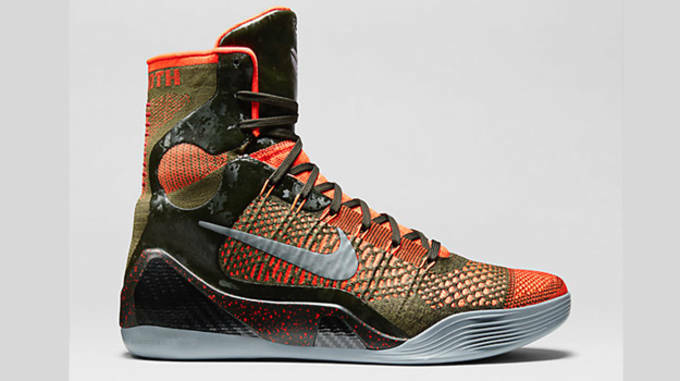 5 - Nike Kobe 9 Elite "Hero"
Depending on where your NBA allegiances lie, Kobe can seen as either a hero or a villain. With that being said, this colorway of the Kobe 9 was downright heroic, with its white base and accents of teal, yellow and purple throughout. No. 4 - Nike Kobe 9 Elite "Mamba Moment"
When Bryant passed Michael Jordan for third place on the NBA&apos;s all-time scoring list, Nike dropped this special edition "Mamba Moment" colorway in collaboration with NikeiD. While it was quite the egregious celebration for third place, this shoe&apos;s dopeness can&apos;t be denied. No. 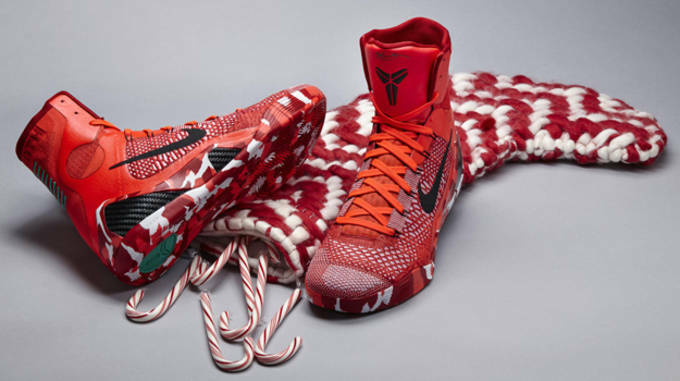 3 - Nike Kobe 9 Elite "Knit Stocking"
Mamba may not have played this year on Christmas, but that doesn&apos;t mean he didn&apos;t bless us with Yuletide tidings. Playing off its knit construction, the "Knit Stocking" colorway is meant to represent the stocking you hang over the fireplace on Christmas. Unfortunately, we all got a lump of coal when Kobe sat out to rest, but like we said, dope nonetheless. No. 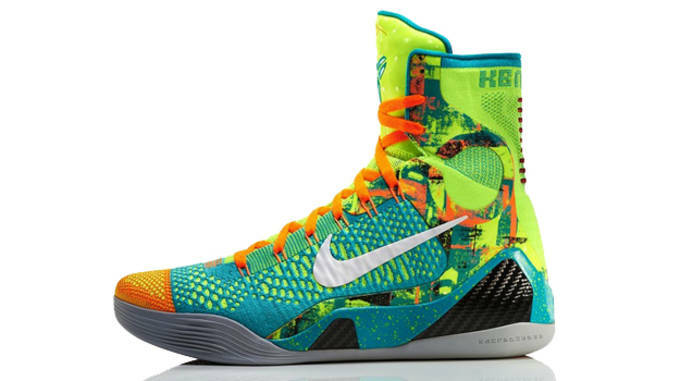 2 - Nike Kobe 9 Elite "What the Kobe"
Here in very early 2015, the Nike Kobe 9 Elite "What the Kobe" figures to be the biggest release of the year, so far. With its mash-up of previous Kobe 9 colorways, the "What the Kobe" is essentially this list in one pair of sneakers. No. 1 - Nike Kobe 9 Elite "Influence"
So how do you dethrone the "What the Kobe" as the best Kobe 9 release? That would be by putting out a colorway that looks more like a "What the" colorways than the actual "What the" version does. The Nike Kobe 9 Elite "Influence" is by far the craziest Kobe 9 release with its two toned knit upper consisting of orange and teal while a neon green took care of the extended heel.